With over 20 years of experience, Telluride On Site Productions provides complete production services, location scouting, location management, casting, crew, permits, and everything you need to get the shoot done on schedule. Tim "Stuntman" Territo founded Telluride On Site Productions in 2003 to offer clients what they'll need while filming in Telluride and the Four Corners region. Tim, who has extensive experience as an Assistant Director, will assist you with everything from lodging to craft services. 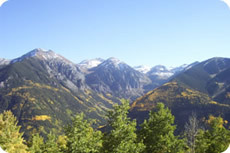 Telluride and the Four Corners region is abundant with natural beauty. Those who have filmed in the area always come back, for there's always an undiscovered location waiting to be shot. We just completed our Post Production on the Adrenalin commercial that we shot in Telluride. I must admit that it looks amazing in spite of the snow storm that passed through briefly in the middle of the day. Everyone here was very impressed how you organized our expedition to the top of Prospect Bowl. We were shooting at 12,550 feet with heavy equipment and a total of eight talent without any complaints. I realize now that having so many local film technicians and talent who can all ski is very unique. I am very happy that we did not attempt to shoot this commercial in the European Alps. The situation would have required us transporting crew & equipment from a major European film center and paying a very large hotel bill at the location. 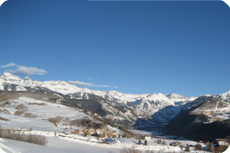 In these tough economic times, Telluride On Site Productions is the right solution.